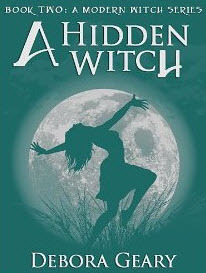 Ms. Geary continues her Modern Witch Series with the next installment, A Hidden Witch. This time, the readers are transported (not teleported!) to Nova Scotia, and the small town of Fisher's Cover, where Aunt Moira lives. Moira is the matriarch of the family/witching community and beloved historian. Her beliefs in tradition have been passed down to all in the community, especially her granddaughter, Elorie Shaw. A talented sea glass artist, Elorie has been a part of the witch community since birth, but she was one of the unlucky few who never developed any talent, or so the family thought. While this is very painful for Elorie to accept that she will never have any witching capabilities, her beliefs in the old school ways have afforded her the opportunity to teach the young witchlings and still be a part of this history rich family. When Elorie is wisked away into Witch's Chat, the family sets out to unravel the mystery of Elorie's hidden talent. They are all about to step into the "Modern" age and discover a new form of magic that not only Elorie possesses, but a few other of the younger witches as well. Elorie finds it hard to believe but when she visits the rest of the clan on an art trip to California, she may be convinced otherwise, although it is going to take a bit of work to make that happen. With the help of the younger witchlings, and the support of Aunt Moira, her sister Sophie, Nell, Lauren, and the rest of the family, Elorie is about to embark upon a whole new chapter that brings significant changes to the witching community and herself. Mind, earth, fire, water, air, healers, spellcoders, and now there is....wait! You'll have to read the book to find out! I have to admit, I am becoming more and more enthralled in these "paranormal" books. I thought they would be all dark and gory, but I am finding that this may not be the case. I have always thought that I might have some hidden talent somewhere, that secret inner voice and the uncanny ability to connect to things that I cannot explain. Maybe this is why I can't put these books down. 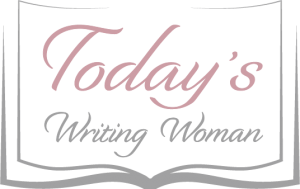 Debora Geary has a magical way of weaving part romance, part mystery, part fantasy and part elemental witch history into a enthralling tale that keeps the reader engaged to the point of being unable to put the book down, and wanting more.